Trending terms around CLL from American Society of Hematology Annual Meeting. 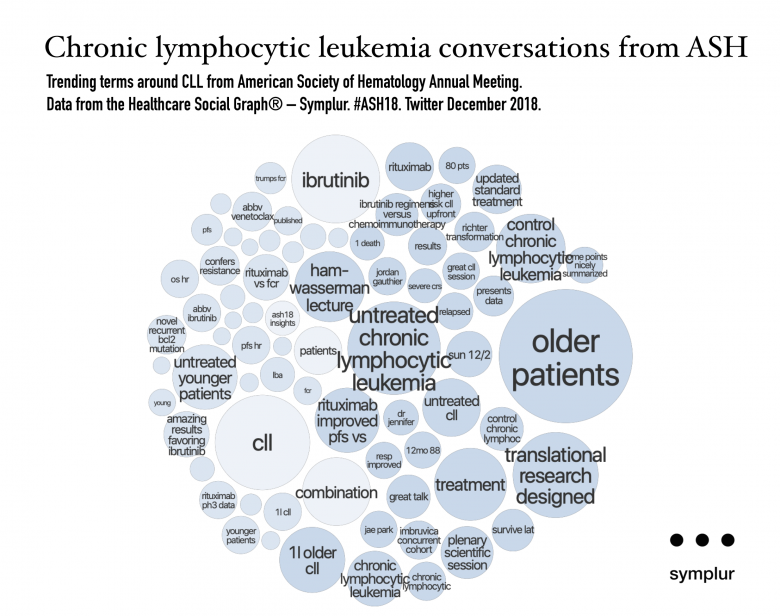 Data from the Healthcare Social Graph® – Symplur. #ASH18. Twitter December 2018.